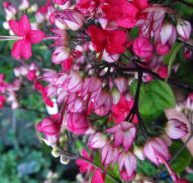 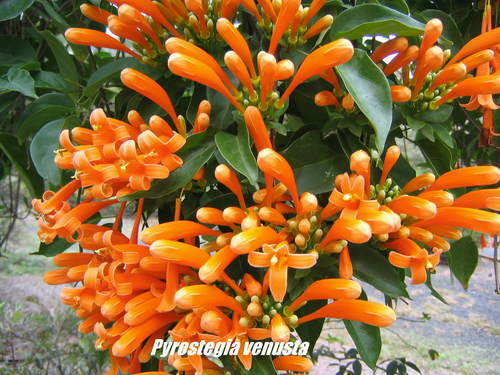 Pyrostegia venusta is a vigorous, fast-growing, evergreen vine that blooms in winter and spring with spectacular orange flowers. 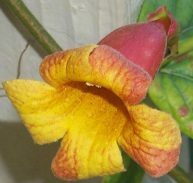 The Flame vine branches profusely and climbs by clinging with its tendrils. 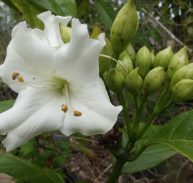 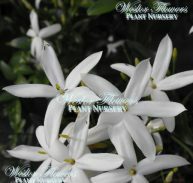 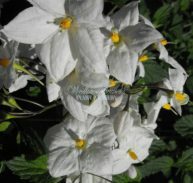 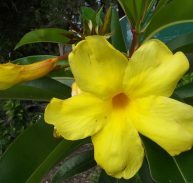 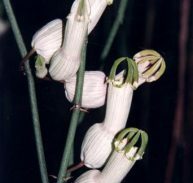 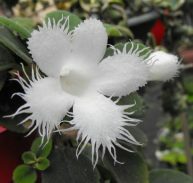 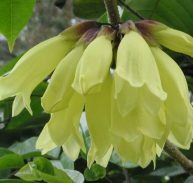 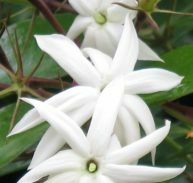 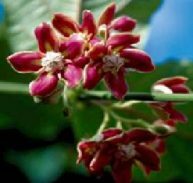 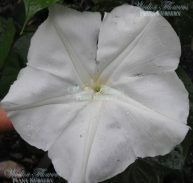 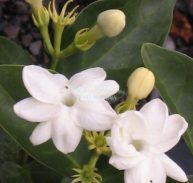 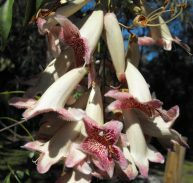 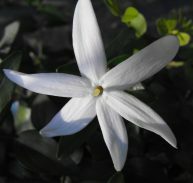 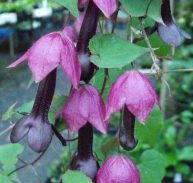 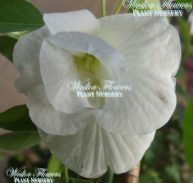 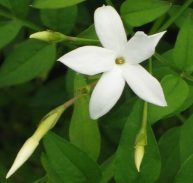 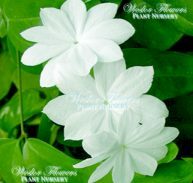 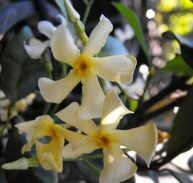 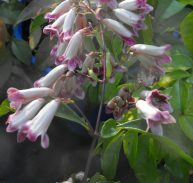 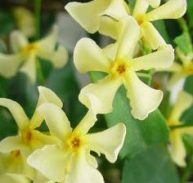 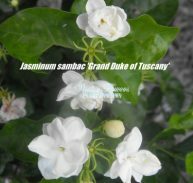 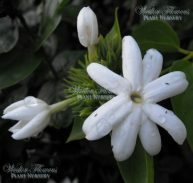 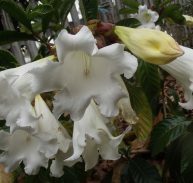 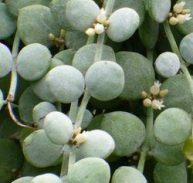 The tubular flowers are about 75 mm long and are in clusters of 15-20 at the tips of branches. 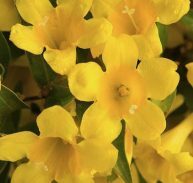 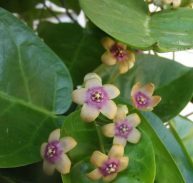 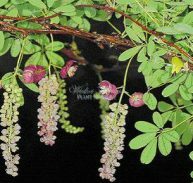 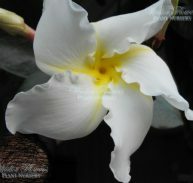 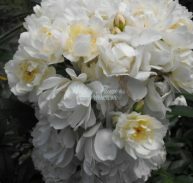 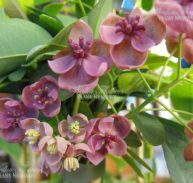 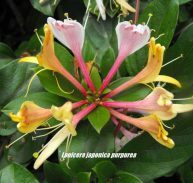 The flower clusters may hang down under the weight of their own beauty. 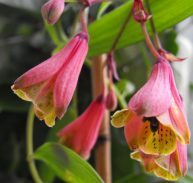 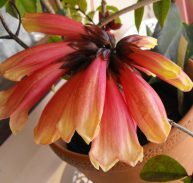 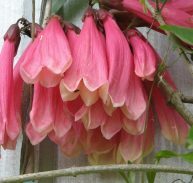 Pyrostegia venusta, the flame vine is native to southern Brazil, northern Argentina and Paraguay. 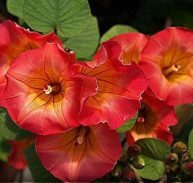 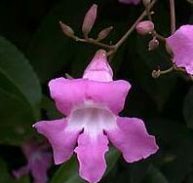 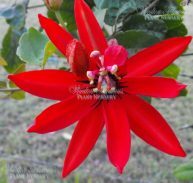 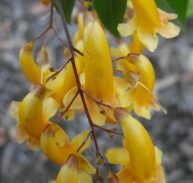 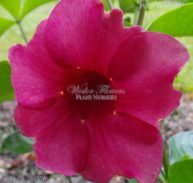 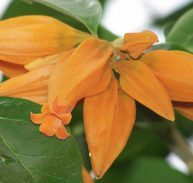 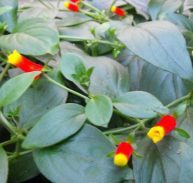 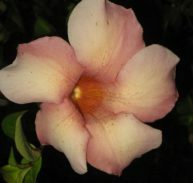 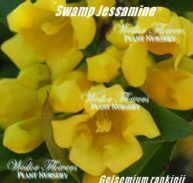 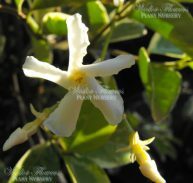 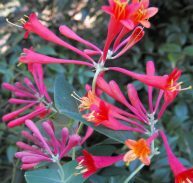 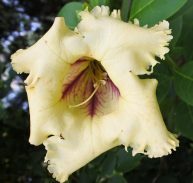 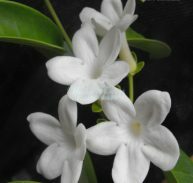 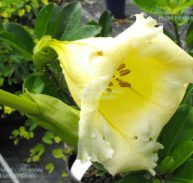 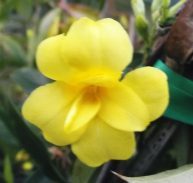 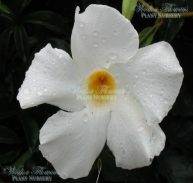 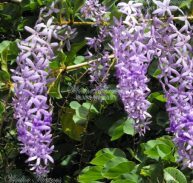 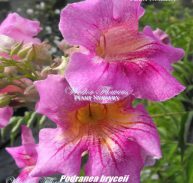 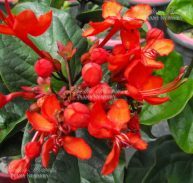 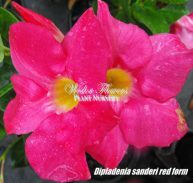 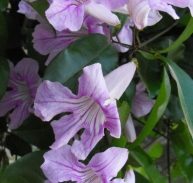 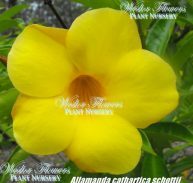 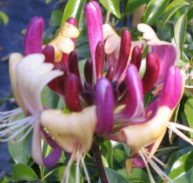 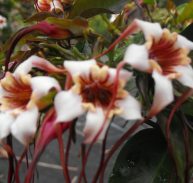 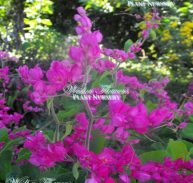 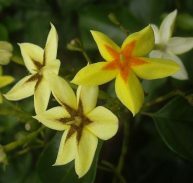 In tropical and subtropical areas, flame vine is a fast and rampant grower. 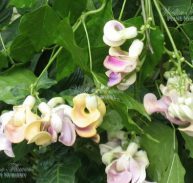 A single vine can be 24 metres long and profusely branched. 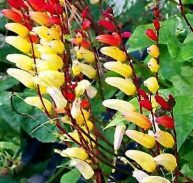 Flame vine tolerates acidic to alkaline soils. 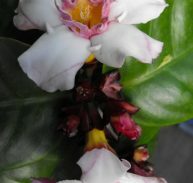 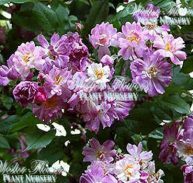 Prune severely after flowering to encourage branching and more flowers next time. 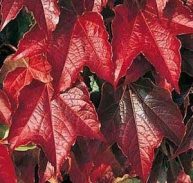 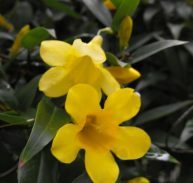 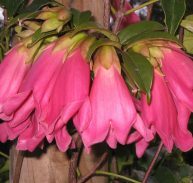 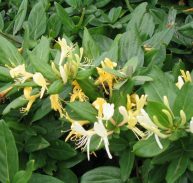 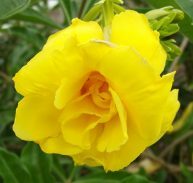 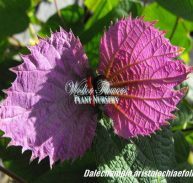 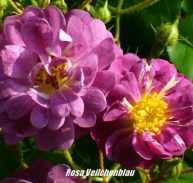 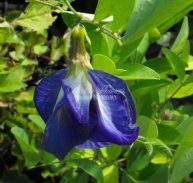 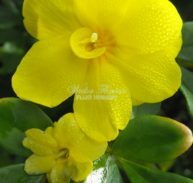 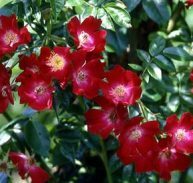 It will grow best in full sun but will tolerates partial shade. 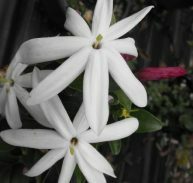 It is somewhat drought tolerant. 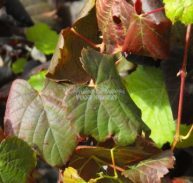 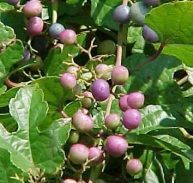 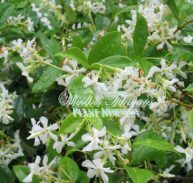 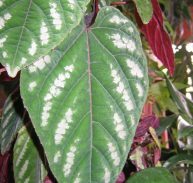 This is a very popular vine for covering fences and walls. 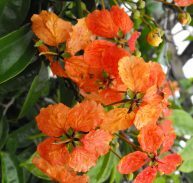 It flowers in late winter and spring with a spectacular display of brilliant orange flowers that attract birds and butterflies. 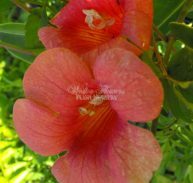 The Orange Trumpet vine is one of the most spectacular flowering vines in cultivation.